Describe the major themes of the 2010 Dietary Guidelines for Americans. The first US dietary recommendations were set by the National Academy of Sciences in 1941. The recommended dietary allowances (RDA) were first established out of concern that America’s overseas World War II troops were not consuming enough daily nutrients to maintain good health. The first Food and Nutrition Board was created in 1941, and in the same year set recommendations for the adequate intakes of caloric energy and eight essential nutrients. These were disseminated to officials responsible for food relief for armed forces and civilians supporting the war effort. Since 1980, the dietary guidelines have been reevaluated and updated every five years by the advisory committees of the US Department of Agriculture (USDA) and the US Department of Health and Human Services (HHS). The guidelines are continually revised to keep up with new scientific evidence-based conclusions on the importance of nutritional adequacy and physical activity to overall health. While dietary recommendations set prior to 1980 focused only on preventing nutrient inadequacy, the current dietary guidelines have the additional goals of promoting health, reducing chronic disease, and decreasing the prevalence of overweight and obesity. Instituting nation-wide standard policies provides consistency across organizations and allows health-care workers, nutrition educators, school boards, and elder-care facilities to improve nutrition and subsequently the health of their respective populations. At the same time, the goal of the 2010 Dietary Guidelines is to provide packaged informative guidelines that will help any interested person in obtaining optimal nutritional balance and health. The seventh edition of the Dietary Guidelines was released in 2010 and focuses mainly on combating the obesity epidemic. USDA secretary Tom Vilsack says, “The bottom line is that most Americans need to trim their waistlines to reduce the risk of developing diet-related chronic disease. Improving our eating habits is not only good for every individual and family, but also for our country.” The Dietary Guidelines are formulated by the Food and Nutrition Board of the Institute of Medicine (IOM) from the review of thousands of scientific journal articles by a consensus panel consisting of more than two thousand nutrition experts with the overall mission of improving the health of the nation.Johnson, T.D. “Online Only: New Dietary Guidelines Call for Less Salt, Fewer Calories, More Exercise.” Nation’s Health 41, no. 2 (March 2011): E6. http://thenationshealth.aphapublications.org/content/41/2/E6.full. Shift food intake patterns to a diet that emphasizes vegetables, cooked dry beans, and peas, fruits, whole grains, nuts, and seeds. In addition, increase the intake of seafood and fat-free and low-fat milk and milk products and consume only moderate amounts of lean meats, poultry, and eggs. Significantly reduce intake of foods containing solid fats and added sugars (SoFAS) because these dietary components contribute excess calories and few, if any, nutrients. In addition, reduce sodium intake and lower intake of refined grains that are coupled with added sugar, solid fat, and sodium. We will discuss the highlights of each chapter of the 2010 Dietary Guidelines; however if you are interested in reading more, visit the USDA website, http://www.cnpp.usda.gov/DGAs2010 -PolicyDocument.htm. Increase intake of whole grains, fruits, and vegetables. Reduce intake of sugar-sweetened beverages. Monitor intake of 100 percent fruit juice for children and adolescents, especially those who are overweight or obese. Monitor calorie intake from alcoholic beverages for adults. High consumptions of certain foods, such as those high in saturated or trans fat, sodium, added sugars, and refined grains may contribute to the increased incidence of chronic disease. Additionally, excessive consumption of these foods replaces the intake of more nutrient-dense foods. The average person consumes 3,400 milligrams of sodium per day, mostly in the form of table salt. The 2010 Dietary Guidelines recommend that Americans reduce their daily sodium intake to less than 2,300 milligrams. If you are over the age of fifty-one, are African American, or have cardiovascular risk factors, such as high blood pressure or diabetes, sodium intake should be reduced even further to 1,500 milligrams. The Dietary Guidelines also recommend that less than 10 percent of calories come from saturated fat, and that fat calories should be obtained by eating foods high in unsaturated fatty acids. Cholesterol intake should be decreased to below 300 milligrams per day and trans fatty acid consumption kept to a bare minimum. The Dietary Guidelines stresses the importance of limiting the consumption of foods with refined grains and added sugars, and introduce the new term, SoFAS, which is an acronym for solid fats and added sugars, both of which are to be avoided in a healthy diet plan.Nelson, J. and K. Zeratsky. “Dietary Guidelines Connect SoFAS and Weight Gain.” Mayo Clinic, Nutrition-Wise (blog). August 25, 2010. http://www.mayoclinic.com/health/dietary-guidelines/MY01417. Moreover, if alcohol is consumed, it should be consumed only in moderation, which for women it is not more than one drink per day and for men is not more than two drinks per day. The macronutrients protein, carbohydrates, and fats contribute considerably to total caloric intake. 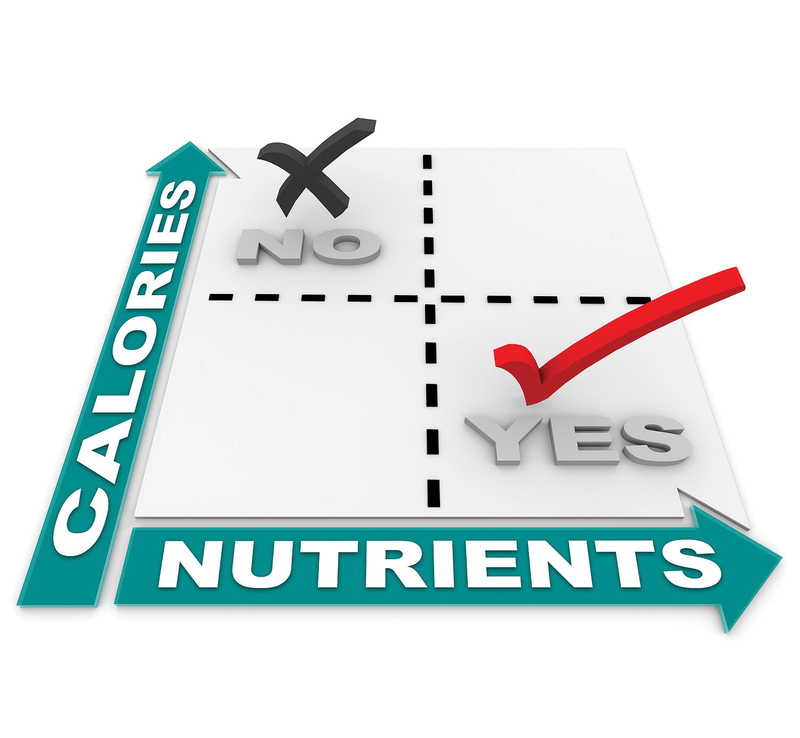 The IOM has made recommendations for different age groups on the percentage of total calories that should be obtained from each macronutrient class (Table 2.5). Eat a variety of vegetables, especially dark green, red, and orange vegetables. Choose at least half of your grains consumed from whole-grain foods. For dairy products, eat the low-fat versions. Don’t get your protein only from red meats; choose instead seafood, poultry, eggs, beans, peas, nuts, seeds, and soy products. Choose foods dense in the nutrients potassium, calcium, and vitamin D.
Increase intake of dietary fiber. The 2010 Dietary Guidelines recommend that people make an effort to reduce their caloric consumption, reduce the intake of nutrient-poor foods, and increase the intake of nutrient-dense foods. To accomplish these tasks it is necessary to incorporate moderation and variety. The goal is not only choosing specific foods for your diet, but also the development of a healthy eating pattern. Several studies provide good evidence that certain dietary patterns increase overall health and decrease the risk of chronic disease. The Dietary Approaches to Stop Hypertension trial, or DASH, reports that men and women who consumed more than eight servings per day of fruits and vegetables had lower blood pressures than a control group that consumed under four servings per day of fruits and vegetables.Sacks, F.M, et al., “Effects on Blood Pressure of Reduced Dietary Sodium and the Dietary Approaches to Stop Hypertension (DASH) Diet.” N Engl J Med. 344, no. 1 (January 2001): 3–10. http://www.nejm.org/doi/full/10.1056/NEJM200101043440101. Other studies investigating the benefits of the DASH diet have also found it to be protective against cardiovascular disease and decrease overall mortality. 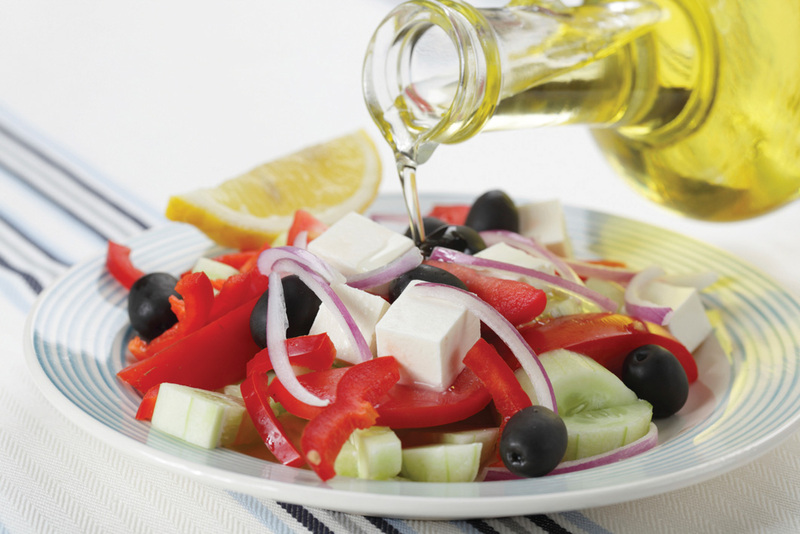 Another well-known diet is the Mediterranean diet. In general, the Mediterranean diet is described as one that emphasizes fruits, vegetables, whole grains, and nuts, and olive oil as a replacement for butter. Few meats and high-fat dairy products are eaten. Observational studies have linked the Mediterranean diet to reduced cardiovascular disease and decreased mortality. Vegetarian diets, which emphasize many of the same foods as the DASH and Mediterranean diets have also been linked to a decrease in incidences of some chronic diseases. US dietary guidelines are based on evolving scientific evidence and are updated every five years. The goals of the 2010 Dietary Guidelines are to prevent nutrient inadequacy, promote health, reduce chronic disease, and decrease the prevalence of overweight and obesity. To have a healthy eating pattern, reduce the intake of sodium, saturated and trans fats, cholesterol, added sugars, and refined grains. Increase the consumption of fruits, vegetables, low-fat dairy products, dietary fiber, and oils. Healthy eating patterns prevent chronic disease and provide nutrient adequacy. Discuss with your classmates suggestions from the 2010 Dietary Guidelines that you should incorporate into your diet. 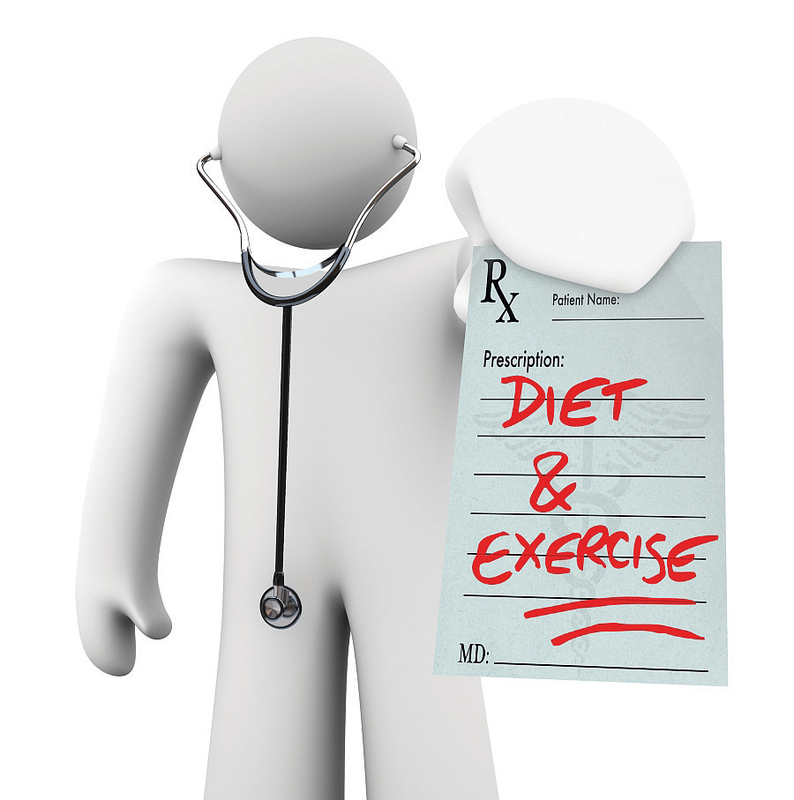 How can you align your personal dietary goals with these recommendations?